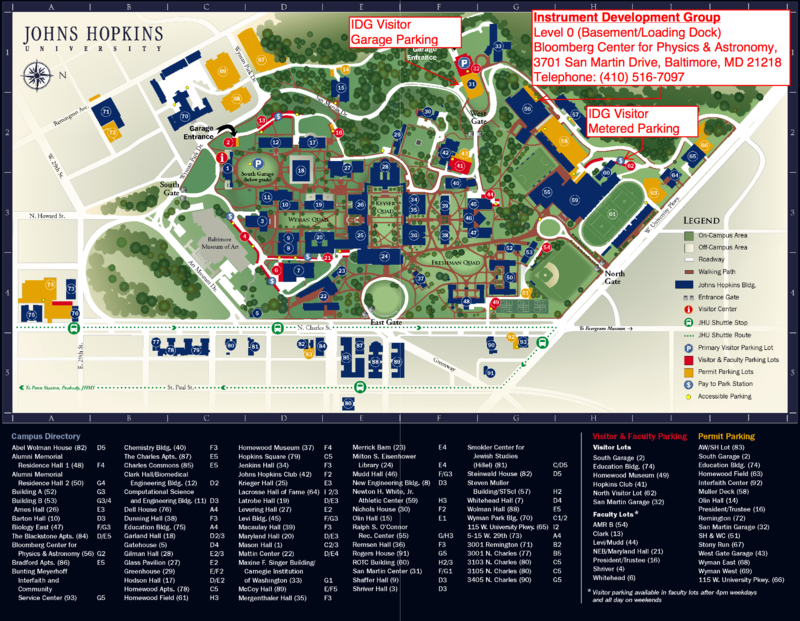 We are located in the Bloomberg Center for Physics and Astronomy (56 on the map below). We are directly across the street from the Space Telescope Science Institute (57 on the map). From the BWI airport it is best to take a cab to the campus as public transportation does not quite get you here. If you are driving yourself and would like to request a parking permit please email us.